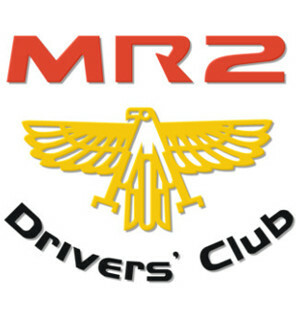 Welcome to the MR2 Drivers Club and our website. Here you will learn more about The Club, Our activities and of course, The Cars themselves. 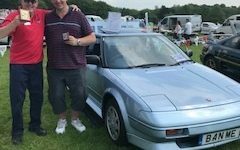 Having celebrated our 25th anniversary in 2016, The MR2 Drivers Club has amassed a loyal and growing band of likeminded people who enjoy everything about owning and driving an MR2, and being part of our scene at a wide variety of events throughout the year. 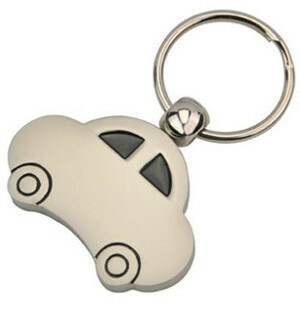 Our wide variety of Club and MR2 regalia makes your chest heave with pride! Mid-Engined, Rear Wheel Drive, 2 Seater ... The exotic sounding formula which has the heart of the Toyota MR2 throughout its production. Whilst the body shapes, engines, interiors, aspirations, geometries and just about everything else changed along the way, that M-R-2 formula remained constant through a production run on almost 25 years. Each marque is very distinguishable individually, very much "of the era" and each has its own loyal band of followers who will gladly state the reasons why their marque of choice is "the one to have!" Production commenced with the unveiling of the Mk1 in 1984 and was immediately recognised as "Japan's Car of the Year" and widely praised for its "lithe athleticism" and "overriding sense of fun". Racing driver & TV presenter Vicki Butler-Henderson giving us a plug! A great little video of the day from Jason Rogers, one of our Supra guests – thank you! Some fantastic drone footage of our National Day 2018 at Hatton Country World, courtesy of Toyota GB & photographer Rod Kirkpatrick – thank you!